I just can’t seem to find appropriate adjectives to describe how incredibly blessed we are to have such beautiful snapshots of this amazing time in our life! We love our wedding pictures very much, they truly mean the world to both of us. The moments that you so brilliantly captured, we will cherish forever, these pictures where the best gift ever. You are truly amazing and I would recommend you to anyone and everyone. I just wanted to write a quick note to thank Wedding Wire for helping us to find such a fabulous wedding photographer! We talked with about 7 different photographers and Nancy, her ATTITUDE and relaxed style were just perfect! She not only caught so many special moments but also made everyone feel so comfortable. We will recommend her to all of our friends! I logged on to this site to search for a wedding photographer. I was not happy with anyone I found in Des Moines, so I branched outward. I stumbled across the heartland weddings website and finally found what I was looking for. Mostly, a photographer with a unique eye and a passion for photography. We have been able to arrange everything over the phone and through emails, saving me a 3 hour trip to Missouri. Thank you, Nancy & the Heartland Weddings Team!!! I did a search for wedding photographers in Blue Springs and the answer to my prayers appeared before me. I clicked on the Heartland Weddings website and saw the most amazing photographs I have ever seen. I knew I must have YOU as my photographer. I made an appointment to meet with YOU the next week and was even more blown away when I saw YOUR work in person. You have been so much fun to work with already that I cannot wait until my wedding next year. If you are getting married in the Kansas City area, do yourself a favor and check out the website! Nancy, We just wanted to write you a note to thank you for making our day even better! Your expertise at The Loretto was well appreciated! Your knowledge and understanding about the lighting in every in of the place was dead on! We were so nervous and your professionalism helped to calm our entire wedding party. When ever we look at our photos it takes us immediately back to that exact moment! Thank you again. I just wanted to write a quick note to thank Heartland Images/Weddings for all your amazing work! Our Photo album and Videography was more than we dreamed of! We so appreciated all your extra effort in coordinating everything. With as many guests and family members as we had it was crazy to say the least. So we would definitely recommend your company to others. Thank you again! Our Wedding Pics & Video! 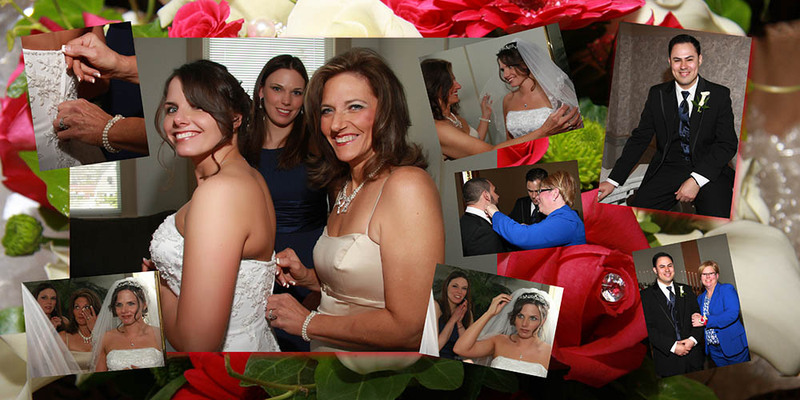 Nancy & Cassie, We just wanted to thank you again for all your hard work on our photos & video! The pictures are amazing and capture how perfect the day was! Thank you so much for making our day so special! Wow, I’m not even sure where to begin! I just want to say thank you so very much for not only for our totally amazing photos but for helping us to make the day flow so perfectly! There is so much to decide on and your experience and advice really put it all into perspective for us! We could not be happier with our photos and Coffee Table Album! You truly did capture our emotions and when we look our photos we truly can remember what we felt at that moment! Thanks again! You Made the Photographs Fun! You have a rare ability to put the wedding party, family and guests at ease as you photograph wedding events. Because of this ability, our wedding albums are full of photographs of the natural expressions of people truly enjoying the day’s events. Your ability to enhance the event, rather than detract from it as some photographers do, is evident in your work. Due to your professionalism and relaxed manner, the photographer becomes a natural and welcome part of the event — you made the photographs fun! Heartland Images photographer Nancy Kerr, has the talent and experience to capture some of the most astonishing images at Powell Gardens. From the moment I viewed her portraits at a bridal show, I sought after her as my photographer. I immediately noted what made Heartland Images different than all the others. Not only is the photography great, her professional advice, charisma and entertaining personality make couples feel at ease in her company and reassures them that they are getting one of the best photography services offered. Each image recaptured numerous special moments and conveyed what words cannot. Her breathtaking portraits allowed us to relive that special day all over again! We took pleasure in working with Nancy. We highly recommend heartland Images to anyone, especially those considering getting married at Powell Gardens. We will tell everyone about our great experience with Heartland Weddings! Too bad you only need a wedding photographer once!!! Your professionalism and efficiency were welcome in what sometimes can be ‘organized’ chaos. We could not be happier with the end result of our wedding. Our photos were beyond our expectations. Nancy Kerr met with us early in the day at the hotel and created an ambiance and occasion that allowed us to be alone and enjoy the moment with and without our guests and family. She was on time, courteous with our guests, on top of everything, and I just got to stand around and let her make us look beautifully in love. Nancy took the stress out of it for us, made us have fun and let us be the ‘bride and groom. We just got our proofs back, and they couldn’t be more beautiful. Their photography and videography are extraordinary.